We are proud to announce that this Apr 14th, 2:00 PM to 4:00 PM we will be hosting an Open House at 4770 52A Street in Westham Lane in the Ladner neighborhood, Delta. This is an opportunity to visit this excellent Apartment for sale in beautiful Ladner. We are proud to announce that this Apr 13th, 2:00 PM to 4:00 PM we will be hosting an Open House at 4808 Linden Drive in the Ladner neighborhood, Delta. This is an opportunity to visit this excellent Townhouse for sale in beautiful Ladner. We are proud to announce that this Apr 14th, 2:00 PM to 4:00 PM we will be hosting an Open House at 4808 Linden Drive in the Ladner neighborhood, Delta. This is an opportunity to visit this excellent Townhouse for sale in beautiful Ladner. 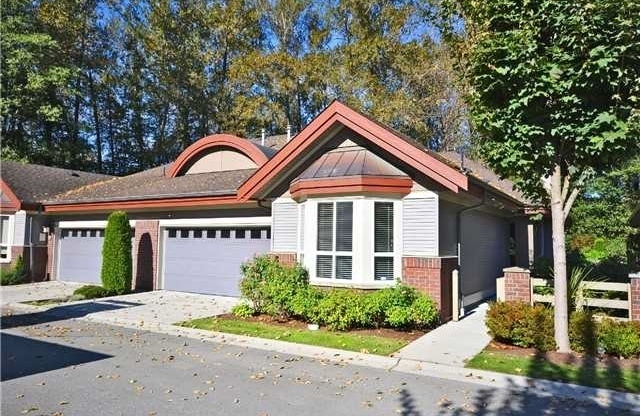 We are proud to announce that this Apr 7th, 2:00 PM to 4:00 PM we will be hosting an Open House at 195 66A Street in the Boundary Bay neighborhood, Tsawwassen. This is an opportunity to visit this excellent House for sale in beautiful Boundary Bay. We are proud to announce that this Apr 7th, 2:00 PM to 4:00 PM we will be hosting an Open House at 4770 52A Street in Westham Lane in the Ladner neighborhood, Delta. This is an opportunity to visit this excellent Apartment for sale in beautiful Ladner. We are proud to announce that this Mar 30th, 2:00 PM to 4:00 PM we will be hosting an Open House at 195 66A Street in the Boundary Bay neighborhood, Tsawwassen. This is an opportunity to visit this excellent House for sale in beautiful Boundary Bay. We are proud to announce that this Mar 31st, 2:00 PM to 4:00 PM we will be hosting an Open House at 4808 Linden Drive in the Ladner neighborhood, Delta. This is an opportunity to visit this excellent Townhouse for sale in beautiful Ladner. We are proud to announce that this Mar 17th, 2:00 PM to 4:00 PM we will be hosting an Open House at 4770 52A Street in Westham Lane in the Ladner neighborhood, Delta. This is an opportunity to visit this excellent Apartment for sale in beautiful Ladner. We are proud to announce that this Mar 8th, 12:00 PM to 12:00 PM we will be hosting an Open House at 195 66A Street in the Boundary Bay neighborhood, Tsawwassen. This is an opportunity to visit this excellent House for sale in beautiful Boundary Bay. We are proud to announce that this Mar 9th, 2:00 PM to 4:00 PM we will be hosting an Open House at 195 66A Street in the Boundary Bay neighborhood, Tsawwassen. This is an opportunity to visit this excellent House for sale in beautiful Boundary Bay. We are proud to announce that this Mar 10th, 2:00 PM to 4:00 PM we will be hosting an Open House at 195 66A Street in the Boundary Bay neighborhood, Tsawwassen. This is an opportunity to visit this excellent House for sale in beautiful Boundary Bay. We are proud to announce that this Jun 24th, 2:00 PM to 4:00 PM we will be hosting an Open House at 4845 53 Street in Ladner Pointe , Ladner. This is an opportunity to visit this excellent Apartment for sale in beautiful . We are proud to announce that this Jun 23rd, 2:00 PM to 4:00 PM we will be hosting an Open House at 4845 53 Street in Ladner Pointe , Ladner. This is an opportunity to visit this excellent Apartment for sale in beautiful . We are proud to announce that this Mar 25th, 2:00 PM to 4:00 PM we will be hosting an Open House at 1700 56th Street , Tsawwassen. This is an opportunity to visit this excellent Townhouse for sale in beautiful . We are proud to announce that this Feb 26th, 2:00 PM to 4:00 PM we will be hosting an Open House at 6105 River Road in River Woods in the Ladner neighborhood, Delta. This is an opportunity to visit this excellent Townhouse for sale in beautiful Ladner. I just sold this Apartment at 304 4770 52A Street, Delta, BC Ladner. I just sold this House at 5310 Camaro Drive, Delta, BC Tsawwassen. We are proud to announce that this Sep 25th, 2:00 PM to 4:00 PM we will be hosting an Open House at 253 49th Street in the Pebble Hill neighborhood, Tsawwassen. This is an opportunity to visit this excellent House for sale in beautiful Pebble Hill. We are proud to announce that this Jul 3rd, 2:00 PM to 4:00 PM we will be hosting an Open House at 253 49th Street in the Pebble Hill neighborhood, Tsawwassen. This is an opportunity to visit this excellent House for sale in beautiful Pebble Hill. I just sold this Apartment at 206 4770 52A Street, Delta, BC Ladner. I just sold this House at 44 55A Street, Delta, BC Pebble Hill. I just sold this Apartment at 312 6263 River Road, Delta, BC . We are proud to announce that this Dec 7th, 1:00 PM to 4:00 PM we will be hosting an Open House at 256 E 2ND Ave in Jacobsen in the Mount Pleasant neighborhood, Vancouver. This is an opportunity to visit this excellent Apartment for sale in beautiful Mount Pleasant. We are proud to announce that this Apr 26th, 2:00 PM to 4:00 PM we will be hosting an Open House at 195 66A Street in the Boundary Bay neighborhood, Delta. This is an opportunity to visit this excellent House for sale in beautiful Boundary Bay. I just sold this Apartment at 2705 108 West Cordova, Vancouver , BC . I just sold this Apartment at 203 4808 Linden Drive, Delta, BC Ladner. I just sold this Apartment at 407 2770 Sophia Street, Vancouver East, BC Mount Pleasant. I just sold this Townhouse at 13 9727 152B Street, North Surrey, BC . I just sold this Apartment at 310 15313 19th, South Surrey, BC . I just sold this Apartment at 201 1189 Howe Street, Vancouver, BC . I just sold this Townhouse at 1168 Fairway Views, Delta, BC . I just sold this Townhouse at 4801 Turnbuckle Wynd, Delta, BC . I just sold this House at 4340 W River Road, Delta, BC . I just sold this Apartment at #d303 4845 53rd street, Delta, BC Ladner.